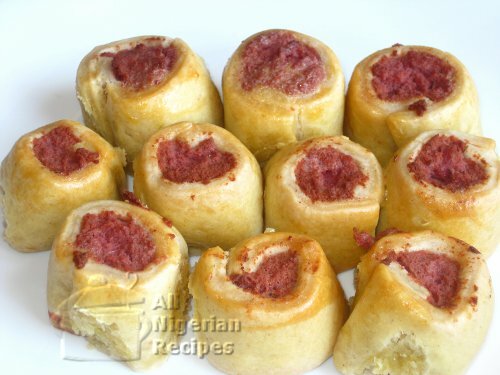 Mini Sausage Rolls are so easy to make because the filling is already prepared. And the dough is the same as that of Nigerian Meat Pie. Note: Butter can be used instead of margarine but it has the tendency to make the dough greasy which hinders the elasticity of the dough. See the video below for details of how to make them.